Lee University’s saxophone quartets will give a concert Friday at 7:30 p.m. in Squires Recital Hall. “The Lee Saxes” is under the direction of Clint Schmitt, a part-time faculty member of the Lee University School of Music. The quartets will play music spanning from the mid-1800’s to late 1900’s. The concert will feature works by Henry Cowell, Daniel Dorff, and William Presser, among others. In addition to teaching at Lee University, Mr. Schmitt serves on the faculty at University of Tennessee at Chattanooga and Southern Adventist University. Outside of academia, Mr. Schmitt performs regularly in the area with groups such as the Chattanooga Symphony and the Dave Walters Quartet. He has performed with the Alabama Symphony and Boston Pops Orchestra and presented guest solo performances at the Southeastern Band Conference and Georgia Music Educator’s Conference, among others. 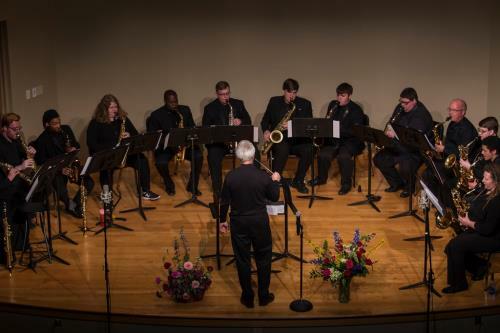 Mr. Schmitt holds a Master of Arts in Saxophone Performance from the New England Conservatory of Music and a Bachelor of Arts in Music Education and Master of Music from Jacksonville State University. For more information, contact Lee’s School of Music at music@leeuniversity.edu or call 614-8240.